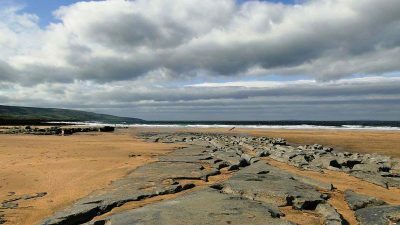 Arguably the most scenic area of the country, County Clare is known for its picturesque Atlantic coast and its impressive vistas. 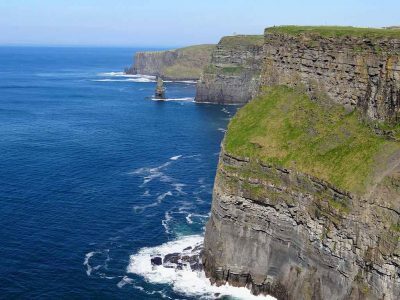 From The Burren to the Cliffs of Moher, Clare offers dramatic natural landscape, with plunging cliffs and crashing waves. The quaint seaside towns of Kilkee and Lahinch offer traditional Irish hospitality, music and food. Lough Derg at Clare’s southern tip is a boating paradise attracting countless sailboats and water cruisers. Clare is where you’ll find Irish tradition at its finest, especially in the charming villages of Doolin, Malby and Fanore, to name a few. 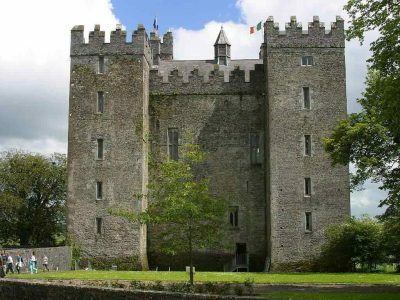 If you’re fascinated with history this is the place for you, as Clare is home to the 13th century Killaloe Cathedral, the famous 15TH century Bunratty Castle and countless Stone Age monuments. 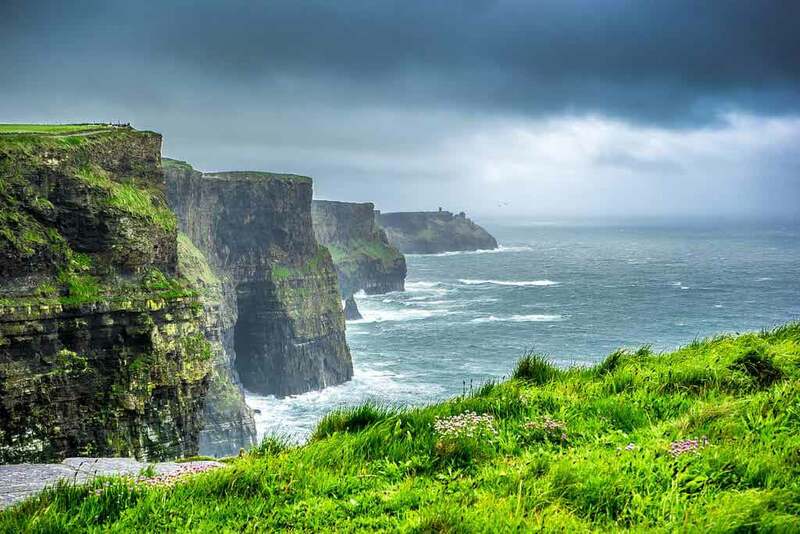 County Clare is nestled in western Ireland south of Galway and north of Limerick with visitors recommended to take the seaside route on the R477 via N67, which passes through the aforementioned seaside towns to the north and the Cliffs of Moher to the south. This is an absolute must-see destination and the most visited natural attraction in Ireland. Ireland Stole My Heart advises visitors to drive on their own, rather than with a tour, either early in the morning or during the golden hours during the late afternoon. While you’re able to walk the entire 8km cliffside, make sure you watch out for the large cave at the base of the cliffs featured in Harry Potter and the Half Blood prince as well as O’Brien’s Tower which lets you see incredible panoramic views of the landscape and ocean. To make the most out of your Cliffs of Moher experience it’s best to stay in one of the seaside towns overnight, like Doolin. About a ten-minute drive from the cliffs, the quaint town of Doolin is located on the Wild Atlantic Way and offers several attractions for visitors. A day-trip to the Aran Islands is highly recommended by Linda on The Run as it remains one of the most exciting things to do in the seaside town. The islands are renowned for their geology, history and are one of the rare places where the locals continue to use the native Irish language. 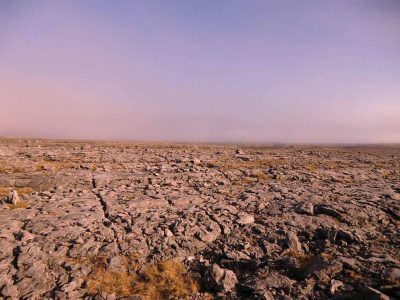 From Doolin, another must-see location is the lunar landscape of The Burren, or “rocky place”. The jagged limestone landscape looks nothing like the rolling green hills of Ireland but more like something that’s out of this world. 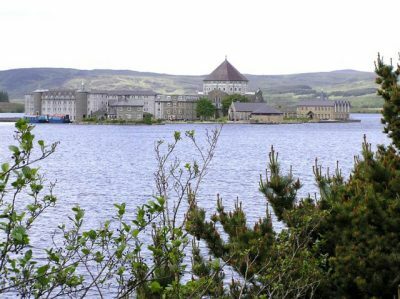 Travelling inland from the coast, our next recommended stop of interest is Lough Derg on the border of Tipperary. The lake is home to one of the most famous monastic sites in Ireland, Inis Cealtra or Holy Island and its many attractions include the ruins of six churches and a bargaining stone where many still renew their vows. What has made Lough Derg famous more recently is Euromillions winner Dolores McNamara, whom The Independent reported purchased Lough Derg Hall, including several other properties for €3.5 million. Dolores became Ireland’s most famous EuroMillions winner after winning Europe’s biggest jackpot back in the summer of 2005, which Lottoland suggests is usually around €115 million. Dolores chose County Clare for its resplendent beauty and Lough Derg Hall for being regarded as one of the finest country-style houses in the region. Our last stop is at Bunratty Castle and Folk Village in which an entire town is dedicated to looking the way Ireland appeared during the 19th century. The village showcases life in the 1800s with working people from varying backgrounds and social classes, including blacksmiths, doctors and fishermen, among others. Considered the number one visitor experience in Ireland, the day would not be complete without a visit to the castle which is replicated like no other in the whole of the country. The castle is also famous for its medieval banquets which have been offered since 1963. For more on famous castles, check out Galway Now’s article on Ballynahinch Castle, and check out our other articles covering famous citadels and travel spots in Ireland.